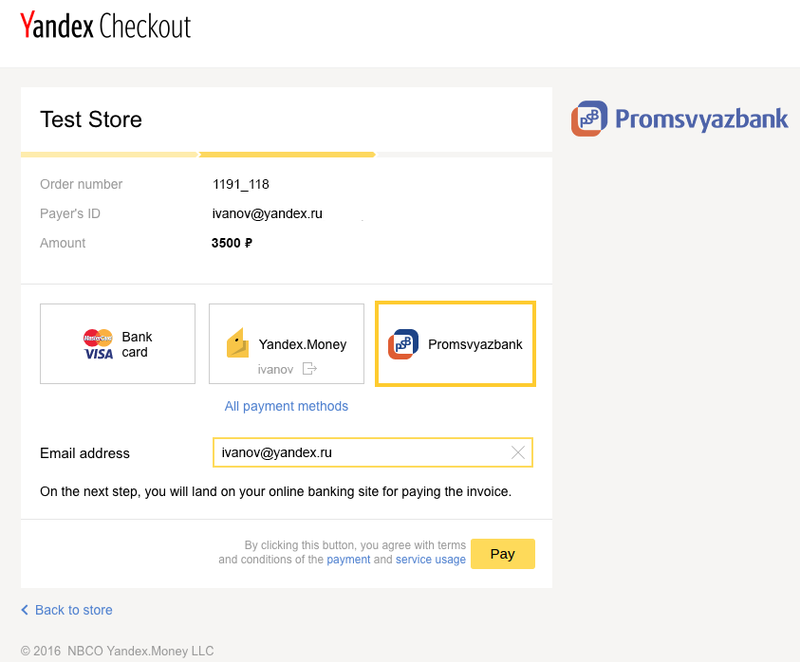 Yandex.Checkout is the leading payment service provider in Russia and the CIS, according to a 2016 survey by TNS. 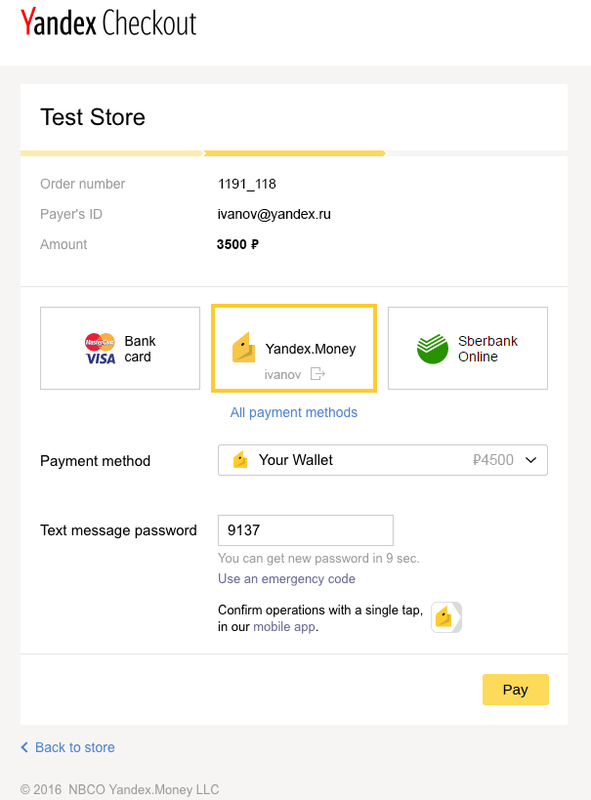 Yandex.Checkout is used by such companies as Skype, AliExpress, BlaBlaCar and over 75,000 ecommerce and online services in Russia, China, USA and Europe, that are interested in Russian customers. 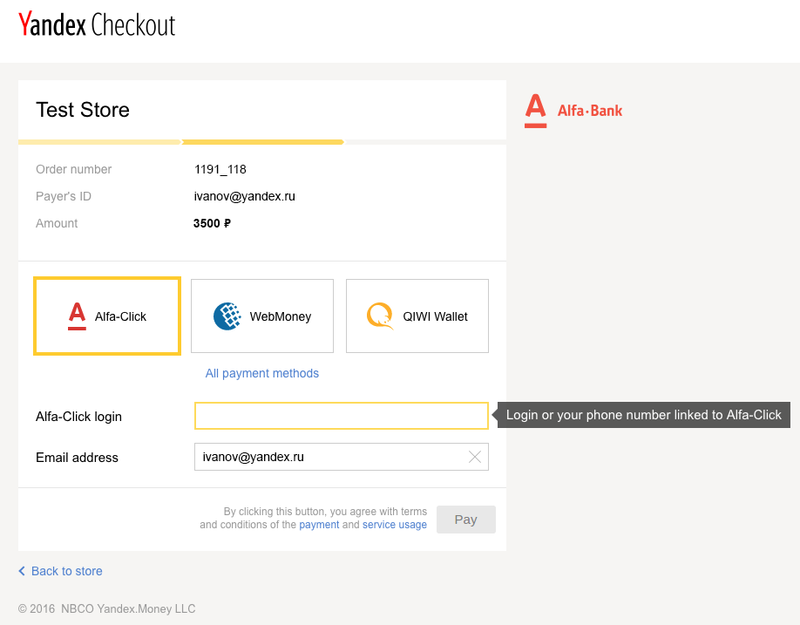 The supported payment options are bank cards (Visa, MasterCard, and Maestro), online banking (Sberbank, Alfa-Bank, Promsvyazbank, and MasterPass), and e-wallet services (Yandex.Money and WebMoney), and from a mobile phone balance. 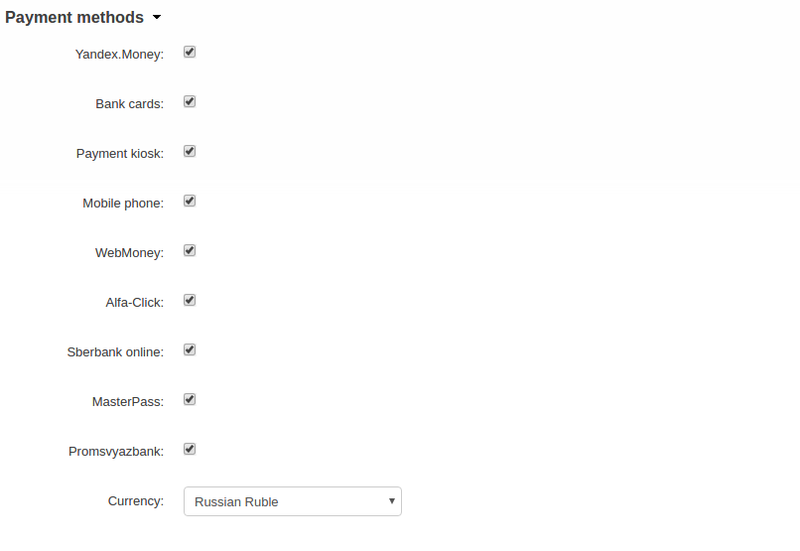 Take a look at the Yandex.Checkout overview. 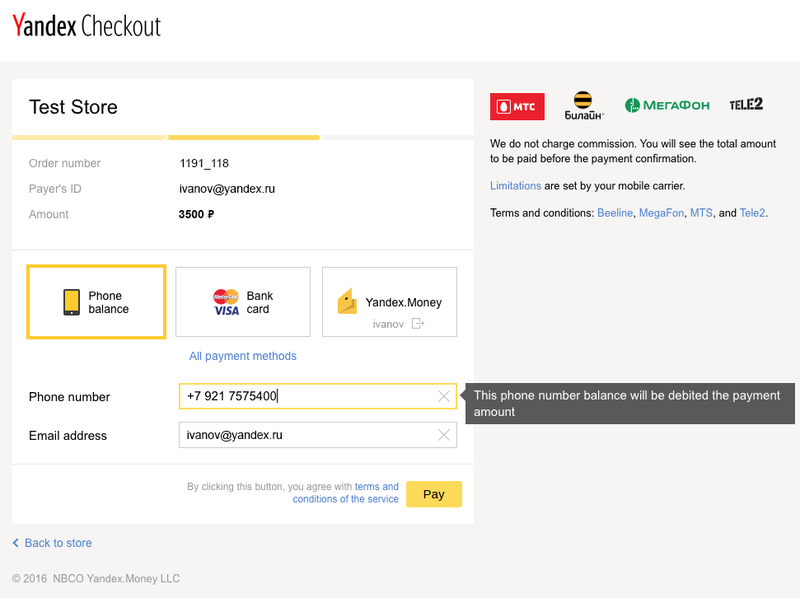 Check out the Yandex.Checkout fees and conditions to make sure it’s suitable for your business. 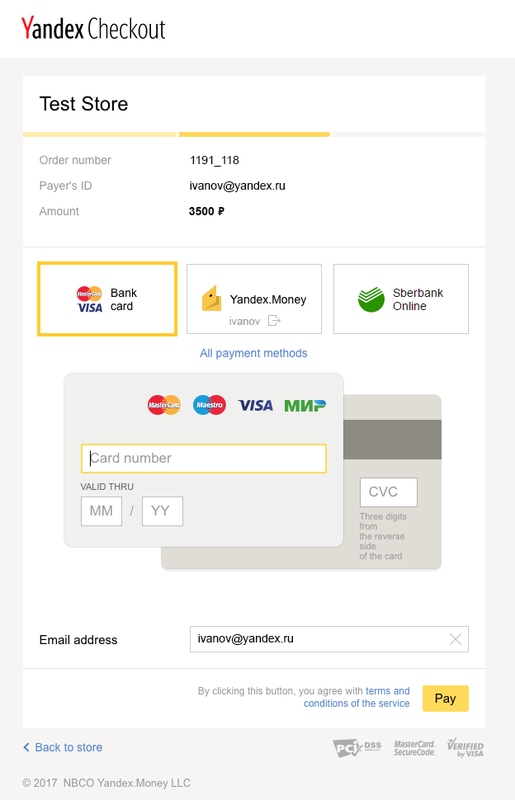 Get paid using Visa, MasterCard, or Maestro bank cards, Yandex.Money Wallet, WebMoney, cash via a payment kiosk, Sberbank, Alfa-Click, Promsvyazbank, MasterPass or from mobile phone balance. Offer to pay in the Russian Ruble, US Dollar, Euro, Ukrainian Hryvnia and Kazakhstani Tenge currencies. Make payments more convenient, secure, and accessible. Submit an activation request and get access to your personal dashboard. Fill out the form, provide the necessary documents, and sign the agreement. 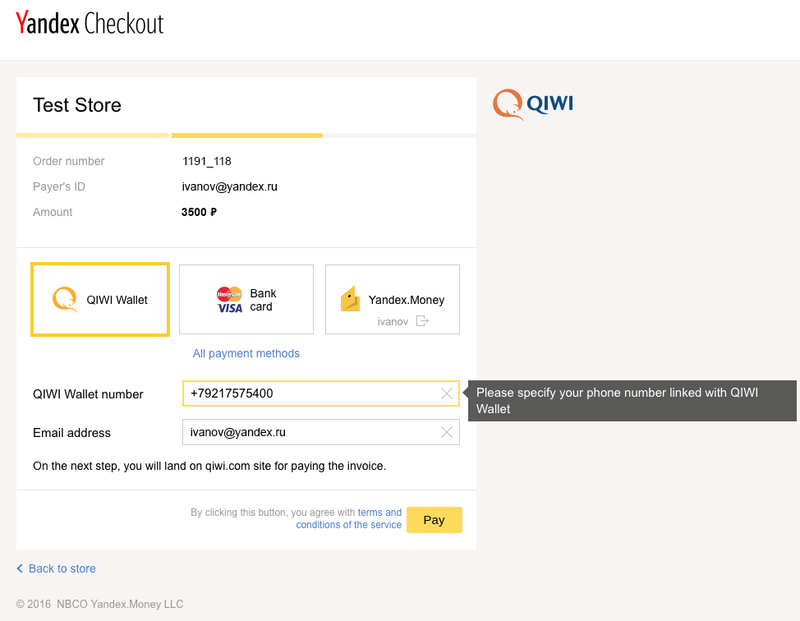 At this step, you’ll need to specify the URLs that you can get from the payment method settings (see Creating a payment method). Install the Yandex.Checkout add-on on the add-ons list page (Add-ons → Manage add-ons). Click the + button in the top right corner, select an archive and click Upload & install. You can now find the installed add-on in the list of installed add-ons, just make sure it is set to Active. 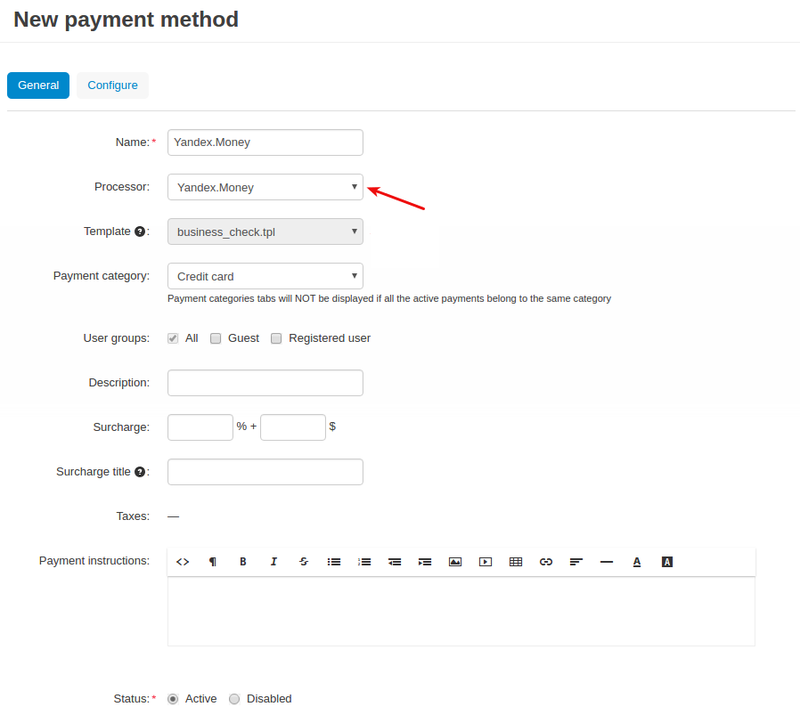 Navigate to Administration → Payment methods. 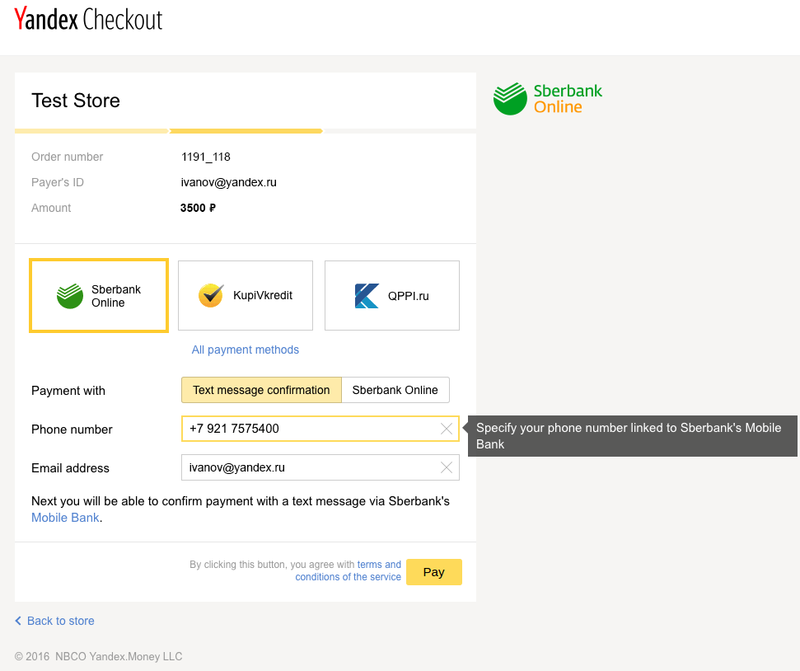 Use the + button to add a new payment method. In the General tab, select the appropriate value in the Processor field. In the Configure tab in the Settings section, enter the details of your payment account: ShopID, SCID, shopPassword. 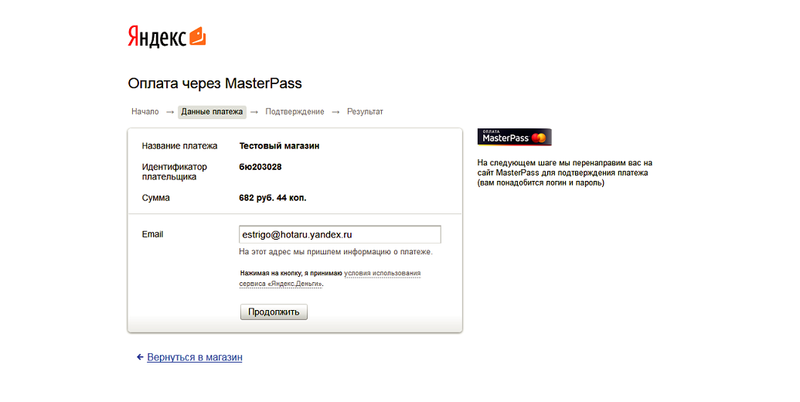 You should get these credentials emailed once you enter into an agreement with Yandex.Money. 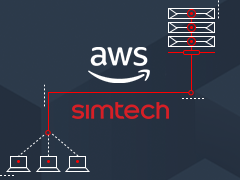 Optionally, enable Logging. 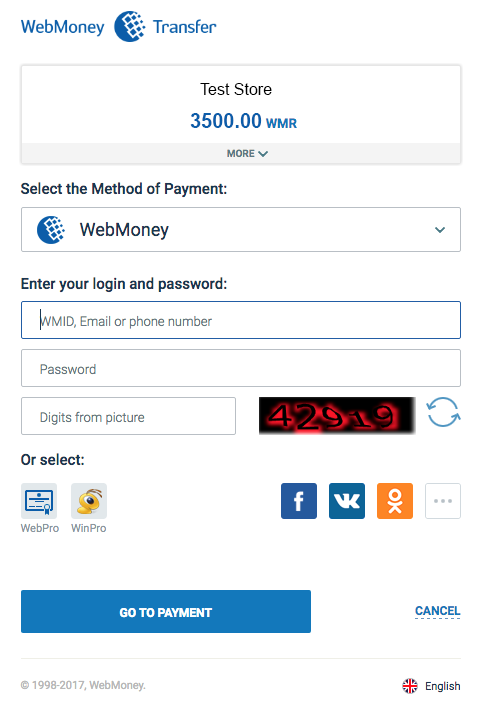 In the Payment methods section, select the methods you want to add and select the currency. The customer adds items they want to buy to the shopping cart and proceeds to checkout. 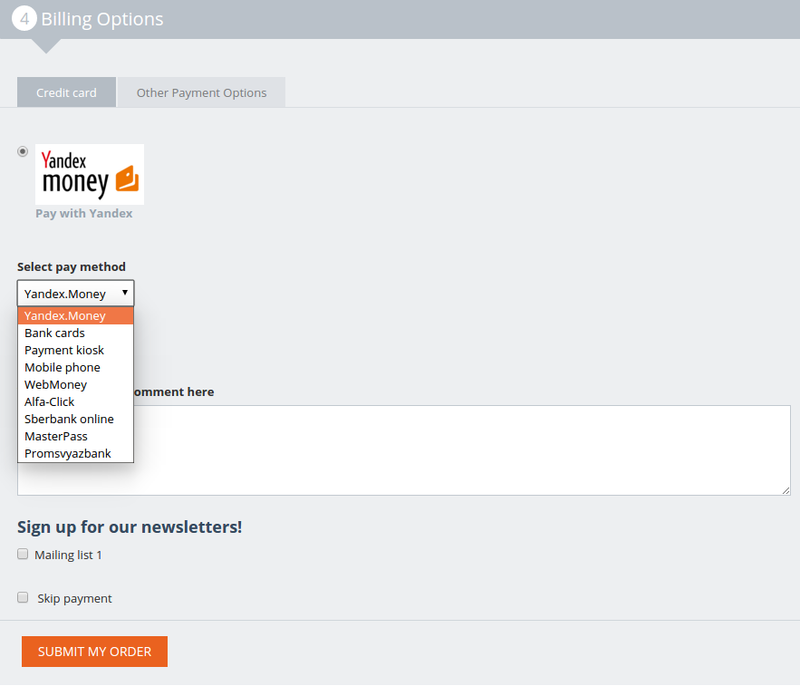 At the Billing Options step, the customer selects a payment method and submits the order. 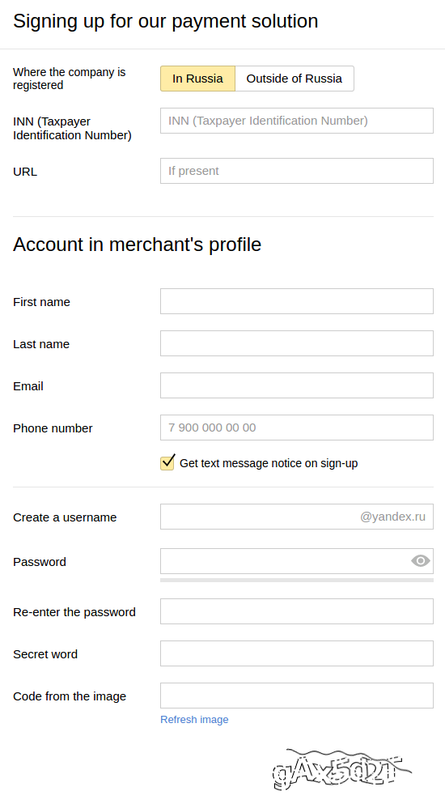 After that the customer will be redirected to the Yandex.Checkout website to complete the payment.